Fagor Industrial, backing meals on wheels! Speed, personalised service, gastronomic innovation and good prices, these are some of the main factors that have turned food trucks into the leading gastronomic trend of 2015. These trucks are designed to offer menus and meet the needs of those people (especially young people) seeking a fast but unique experience when it comes to eating. The majority tend to have certain features in common: the people behind them are young, the quality of the products on offer, flexibility in time and space and the design and originality of the ‘establishment’. Food trucks have become a veritable institution in the United States, Canada, Australia and Mexico where a number of well-known food festivals directed at Foodies are held, serving as a showcase for many young people who dream about a chance in the catering trade. And it looks as though the trend has at last arrived in Europe. The Food Truck fashion is here to stay! As regards the nature of the business, sometimes they may be linked to a restaurant that uses their food truck to capture more customers, or they may have come about on their own as a consequence of the financial difficulties posed in setting up a traditional restaurant. This gastronomic trend was the inspiration behind the modern bus created and designed by Ron Meulman, owner of the well-known restaurant -Vis aan de Maas- in the city of Rotterdam. 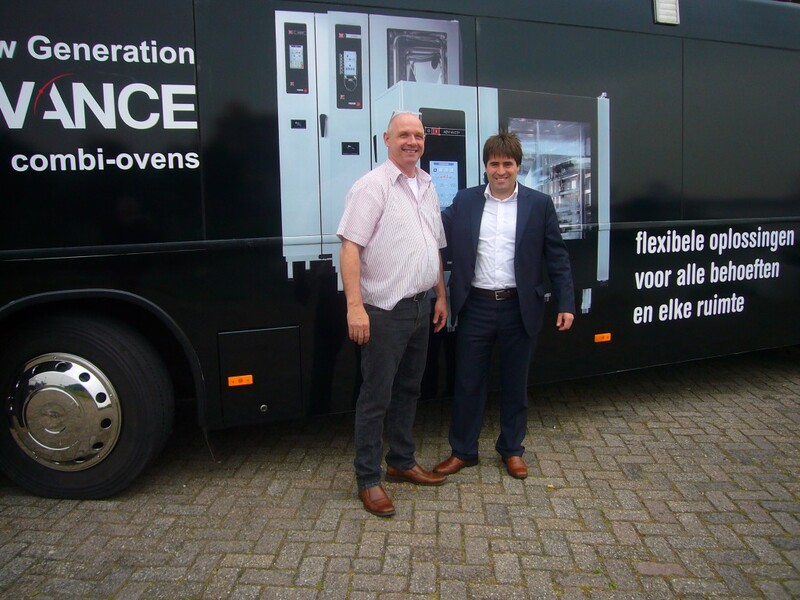 This food truck has become a meeting point where demonstrations are given on the use of the latest equipment from Fagor Industrial, serving both as a point of support for the company’s network of distributors and to capture potential new customers. This is the innovative proposal from one of Fagor’s customers and users. 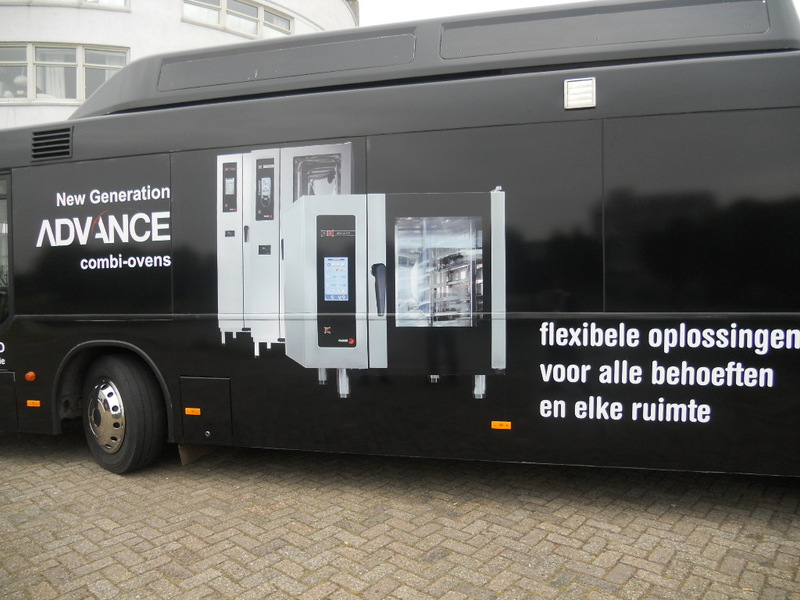 This novel activity serves to introduce our equipment to businesses from the hotel and catering industry in Holland. Undoubtedly a great way to demonstrate our new technology and to train professionals so that they can get the most out of their Fagor Industrial equipment. Buenas tardes, saludos desde Santiago de Chile. Somos de Sabor y Aroma Restaurant y estamos solicitando una cotización urgente de: Freidora de Sobremesa eléctrica Fagor. Esperamos su pronta comunicación y respuesta. Buenos días Ivon! Ya hemos enviado tu solicitud al departamento comercial para que se pongan en contacto contigo cuanto antes. Muchas gracias por tu interés en los productos de Fagor Industrial!